Our evolving workplace is changing for the better and empowering employees. 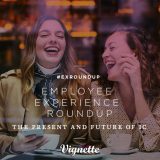 The dynamic is shifting and companies now have to do a better job marketing the employee experience to attract everyone from tenured managers to hourly employees. Not only is the job market tight, but people have higher expectations from their employers and a megaphone to share the good and bad of what it is like to work at your organization. 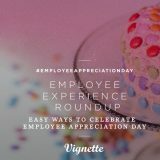 Employer brands are more than total rewards programs, great place to work awards, or positive press. Simply put, an employer brand reflects the company’s reputation as a place to work. But to do employer branding really well, you need to have an employee experience that reflects your companies values. Without this, your employer brand will fall flat. To build your employer brand this way, you have to start from within, engaging your employees so they support the employer brand, from the inside out. A company’s consumer brand is based on its reputation in the marketplace for its product and services. Today, company’s have much less control of their brand as the consumer perception defines the brand and social media gives them a platform. Of course, companies have not stopped focusing on their brand because of the rise of consumer influence. Smart brands are taking an approach that is honest, engages the consumer, and celebrates their participation in the brand experience. Employees are consumers, too, and have certain expectations. This shift towards participation, personalization, and authenticity is what employees have come to expect of the employee experience. Who owns the employer brand? As an employee experience agency, we get to work with amazing companies and there is an increased emphasis on the ‘employer brand’. It is a relatively new aspect for many organizations and the question many are trying to figure out is who is the keeper of the employer brand. The ownership of the employer brand may float between marketing, comms, and HR. There is no right answer or approach to where it ‘should’ live. What is needed is a clear vision and alignment around what the employer brand means to a company. When this is discussed and defined all parties can move in the same direction. The challenge is getting there. Your goal is to translate the company brand architecture, tone of voice and visual styles for internal use, providing your company with an employer brand vision and a foundational set of tools used to communicate and manage the company employer brand. Review the consumer brand core values (what the brand believes in), personality (the character of the brand), emotional rewards (what/how the brand makes employees feel) and functional benefits (what tactical reward employees get from having a relationship with the brand). Translate the above into terms that will resonate with employees. 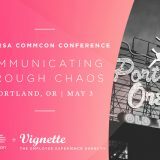 Develop a tone and positioning guide to steer messaging/communications to employees and for use in recruiting. Develop an initial Style Guide to establish color palettes, fonts/typography, photography and graphic styles. Step #1: Get out of your silo and work with people across your organization. To be honest, any internal comms department cannot develop an employer brand alone. So, your first step should be to assemble your cross-functional team. Marketing is going to bring a brand voice and tone perspective. HR is going to be your subject matter expert. And having an executive sponsor is going to help you break down walls and keep the momentum going. Step #2: Leverage your knowledge of your workplace culture. As an internal communicator, nobody knows the ins and outs of the organization like you do. You are the subject matter expert on what is important to the company, what is great about the culture, and where your organization needs to improve. With this knowledge, you are the key to making sure there is not an ‘expectation gap’ between your employer brand and the reality of your organization. HR will keep you honest on benefits. Marketing will keep you honest on brand. You will keep everyone honest on culture. Selling a candidate a lie will erode the employer brand you are trying so hard to build. 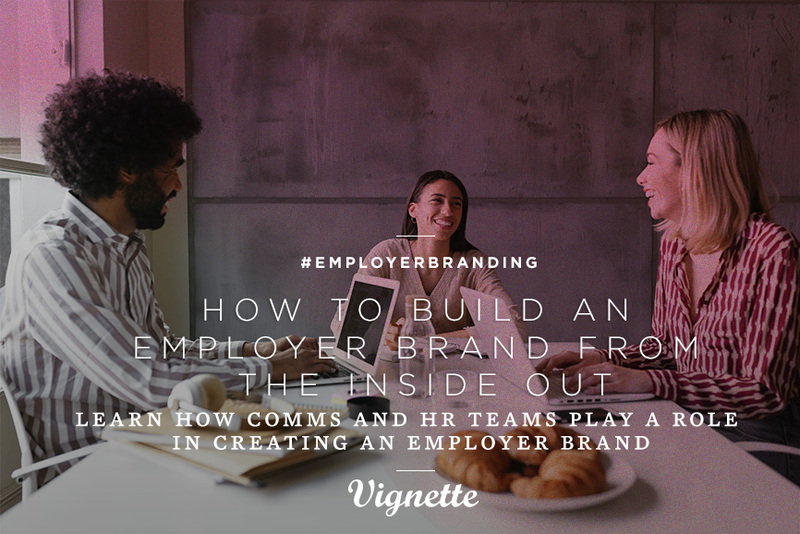 Step #3: Create an ‘inside-out’ employer brand. Your employer brand needs to be real and transparent. Being transparent can be scary for many organizations, but it’s necessary and effective. If you or your leadership are concerned about what people are going to find out about the reality of your workplace then any employer brand you develop will be sitting on a throne of lies (yes, that is an Elf reference). 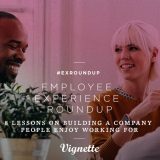 When you leverage employee voices, activities, successes, and passions, you will attract like-minded candidates. This inside-out approach will drive your content and creative strategy. Candidates want to imagine themselves working at your company. You should paint the best and most accurate picture for them. Build your dream team, keep the brand honest, champion employee voices, and your employer brand is going to stand apart from the stock image, canned language, not entirely accurate employer brands that are a dime a dozen. This article was originally as a guest post on the ContactMonkey blog. 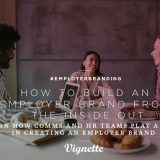 Need help creating an employer brand? Reach out and we would love to see how we can help.